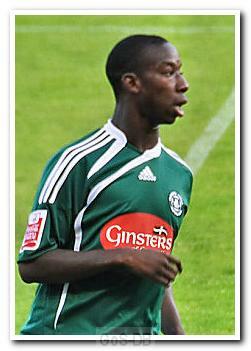 'BWP' moved to Home Park on a free transfer in the summer of 2009 after he was released by Southampton. 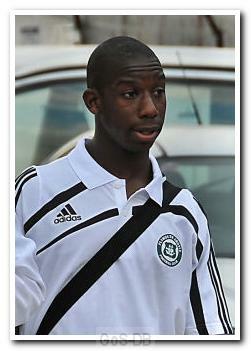 The son of former Arsenal and England striker Ian Wright and half-brother of Shaun, Wright-Phillips began his career at Manchester City and made more than 30 appearances for them in the Premier League, almost all as a substitute. An England under-20 international, he was sold to Southampton for £750,000 in 2006 but could not hold down a regular place in the side despite a promising start. After joining Argyle he suffered a serious knee injury in pre-season, which, other than an abortive two-game comeback in September, kept him out of the team for the first half of the 2009-10 campaign. Having regained full fitness, Wright-Phillips started the final twelve games of the season and showed great promise, unfortunately too late to help the club avoid relegation. Fully fit going into the 2010-11 campaign, Wright-Phillips scored 13 goals in just 17 league games, form that led to a move to Charlton Athletic during the January transfer window at a time of financial meltdown at Home Park. 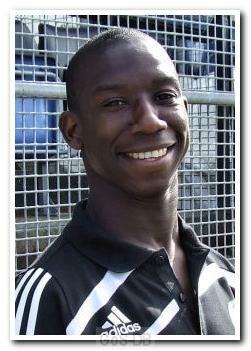 Wright-Phillips scored in each of his first three games for his new club and finished the campaign with 8 in 21 appearances, as well as ending the 2010-11 season as Argyle's top scorer. The following season he contributed 22 goals in 42 league matches as the Addicks won the 2011–12 Football League One title, and in February 2013 he joined Brentford on loan until the end of the season, scoring five in 15 games as the Bees missed narrowly missed out on their attempt at reaching the Championship. In July 2013, after a very respectable 31 goals in 87 games for Charlton and still only 28, he somewhat surprisingly made the move to New York Red Bulls in America's MLS (Major League Soccer), having been released by Charlton at the end of his contract. Despite joining the Red Bulls in the latter part of their season, he played a key role in contributing to their first major title, the MLS Supporters' Shield. It was the start of a hugely successful spell in the USA. In April 2014 he scored a hat-trick against Houston Dynamo, followed by a second in May against Chicago Fire. Notably he also bagged the winner in a friendly against his father's former team, Arsenal, and then the equaliser when playing for the MLS All-Stars against Bayern Munich. Two days after the All-Star game, Red Bulls' Sporting Director Andy Roxburgh confirmed that Wright-Phillips's scoring exploits were attracting international transfer interest. By August 2014 he netted his 19th & 20th goals of the year against Montreal Impact, surpassing Juan Pablo Ángel's club record for goals scored in a single season. In September 2014 he returned from a brief spell out injured to score his third hat-trick of 2014 and then shortly after scored two more to equal the MLS record of 27 goals in a season. Following his outstanding 2014 success, Red Bulls re-signed Wright-Phillips to a 'designated player' contract for 2015, by which time he had netted 33 goals in just 46 games. Not surprisingly he was voted Top MLS Player 2014, New York Red Bulls Player of the Year 2014 and into the MLS Best XI for 2014.